The 19th Sarasota Bay Fisheries Forum meeting will be held at Mote Marine Lab on Thursday, April 5, 2018 at Mote's WAVE Cinema at the South East end of Mote Marine Lab (far-left corner of the Lab as you approach from Mote's Aquarium Parking Lot). One of the highlights of our meeting will be a presentation by Tom Ries entitled “Lost River Preserve – Fisheries Habitat Restoration Project.” An abstract for Tom's talk, as well as his bio, is below. Tom's talk will be followed by discussion about gauging the effectiveness of restoration projects. We will also have 5 to 10 minute reports from our Outreach Committee and our Mangrove/Living Shoreline Committee, followed by discussions and brainstorming about action items. Please help get the word out so we can involve more people from our community. This ARRA funded project restored over 70 acres of land and enhanced the adjacent coastal ecotones. It is located in Ruskin Florida and is adjacent to the Cockroach Bay ELAPP parcel. This former aquaculture farm had over 200 dug fish ponds that were abandoned for over 30 years and became infested with non-native vegetation; and it is functioning as a nursery for juvenile fish. An overview of the restoration effort along with the results of an extensive post restoration USF lead research effort will be provided. Tom is a nationally known ecologist with more than 35 years of experience in restoring natural systems in the southeast. His work has garnered numerous environmental awards, and resulted in the restoration of more than 2,600 acres of wetlands. In 2013, Tom received the prestigious National Wetlands Award in Conservation & Restoration from the Environmental Law Institute, in Washington DC. Tom founded Ecosphere Restoration Institute in 2007 to advance restoration activities through innovative public-private partnerships. 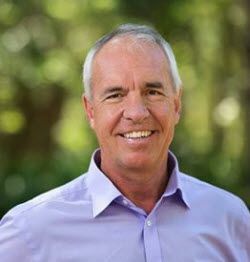 He has been a partner at Scheda Ecological Associates since 1997, and currently serves as Southeast Biological Services and Restoration Director for Environmental Science Associates (ESA), an environmental science and planning firm with offices throughout the U.S.
Tom graduated from the University of South Florida with a B.A. in Biology and a minor in Geology. In his early career, he mapped wetlands for the U.S. Fish and Wildlife Service and implemented several coastal habitat restoration and stormwater retrofit projects in Tampa Bay, Sarasota Bay and Charlotte Harbor while working for the Southwest Florida Water Management District’s SWIM program.